Miss Goias Be Emotion 2019 held its grand finale on 27th October 2018. At the conclusion of the finale, Isadora Dantos was crowned the winner. She will now proceed as a finalist in Miss Brasil Be Emotion 2019 that is to be held in March next year. The winner of the national competition will go on to represent Brasil in Miss Universe 2019 to be held next year. Isadora is 22 years of age and currently a journalism student. She also works as a model from time to time. Before becoming the crowned winner, Isadora was the winner of Miss Ap de Goiânia Be Emotion 2018, which helped her earn the right to proceed to the regional competition. 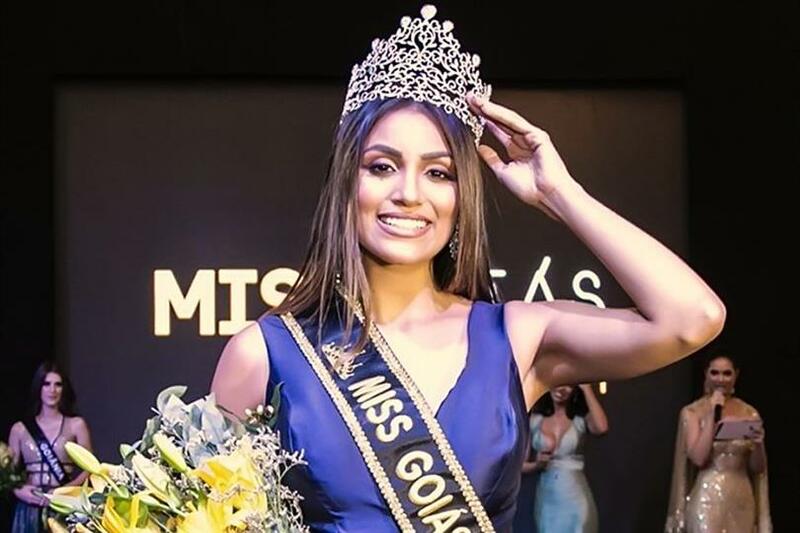 Isadora was crowned by Miss Goias Be Emotion 2018 Giovanna Veríssimo. The new winner was looking mesmerising in her royal blue gown that had sequin work on its hems. Isadora bested 15 other candidates who were competing for the regional crown. The court of Miss Goias Be Emotion 2019 Isadora Dantos includes Miss Goiânia Be Emotion 2019 Laura Del Rio in 2nd place and Miss Anicuns Be Emotion 2019 Tayrine Soares in 3rd place. The pressure is on for Isadora as her predecessor, Giovanna was one of the Top 10 finalists in Miss Brazil Be Emotion 2018. The coronation night of Miss Brasil Be Emotion 2019 is going to take place in March, next year, where 26 contestants from districts all over Brasil, along with the Federal District, will compete for the national title. The winner will succeed Miss Universe Brazil 2018 Mayra Diaz who is currently representing Brasil in Miss Universe 2018 to be held on 17th December 2018.